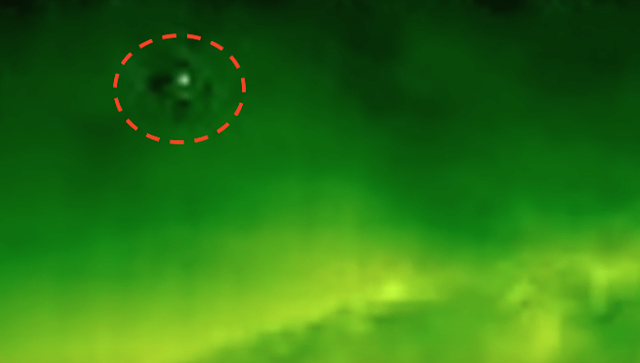 UFO SIGHTINGS DAILY: Many Moon Size UFOs Orbiting Earths Sun On May 14, 2016, Video, UFO Sighting News. Many Moon Size UFOs Orbiting Earths Sun On May 14, 2016, Video, UFO Sighting News. This video was made by Myunhauzen74 of Youtube. He uses the SOHO/NASA sun cameras video so all of these are original from government sources. About 7 years ago, two Russian scientists said that they found many moon size UFOs orbiting Earths moon. That these UFOs accelerate and decelerate frequently and even come to complete stops, then continue their orbital dance. I say dance, because its not a circular orbit, its a chaotic impossible orbit. These objects they said, move at hard right angles without even stopping.